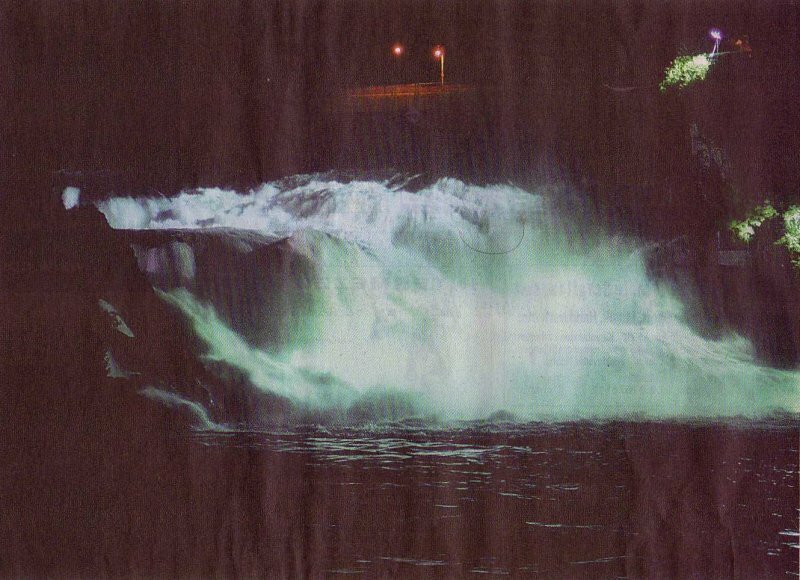 On Mai 10, the rheinfalls were illuminated with new light. Many spectators watched the test run. On Mai 10, the rheinfalls were illuminated with new light. Many spectators watched the test run. Even late in the evening, a crowd gathered at the rheinfalls At 9:30 PM, it became dark and then the new light was switched on at the Zuerich side The water has now more contrast and has more depth. On April 11, 2008, the new illumination will be definitive. Also the street lightening will be changed and some trees will get illuminated. The entire project costs 700'000 Swiss Franks and is a birthday present of the EKS.